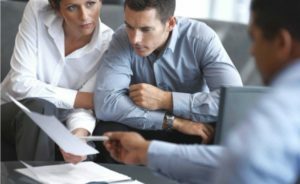 Why should buyers seek independent advice before signing a real estate contract? The real estate agent is working for the seller. The seller doesn’t have a duty of disclosure, so buyer beware! In addition, we believe that the standard REIWA Contract & Conditions are weighted in favour of the seller. And no one reads them until it’s too late! I don’t think a week goes by where we don’t hear a comment from a buyer along the lines of “But doesn’t the seller have to fix that?” Unfortunately the answer if often “No!”. In the absence of any special conditions, the buyer is basically purchasing the property as-is. So, if they find a broken window, leaking pipe or faulty lock during an inspection (and the problem existed when the contract was signed) the buyer has no claim on the seller. Does the standard REIWA Annexure that allows the buyer to obtain a Structural Building Inspection provide sufficient protection? We don’t think so as it only covers ‘Structural Defects’. Quite often a Structural Report will identify thousands of dollars’ worth of maintenance issues that the seller is not obliged to fix. So what advantages can we offer in reviewing or preparing your contract? $199 or to prepare or review contracts based on standard REIWA terms. That’s as little as 0.04% of the median house price in Perth and nothing compared to the potential cost of a poorly drafted contract. Contact us to arrange a consultation before it’s too late!